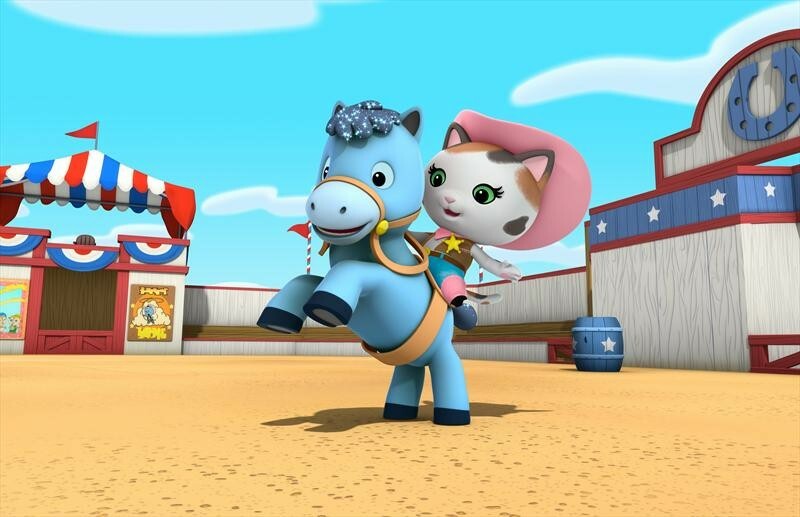 Disney Junior has a new animated series coming your way, Sheriff Callie’s Wild West! 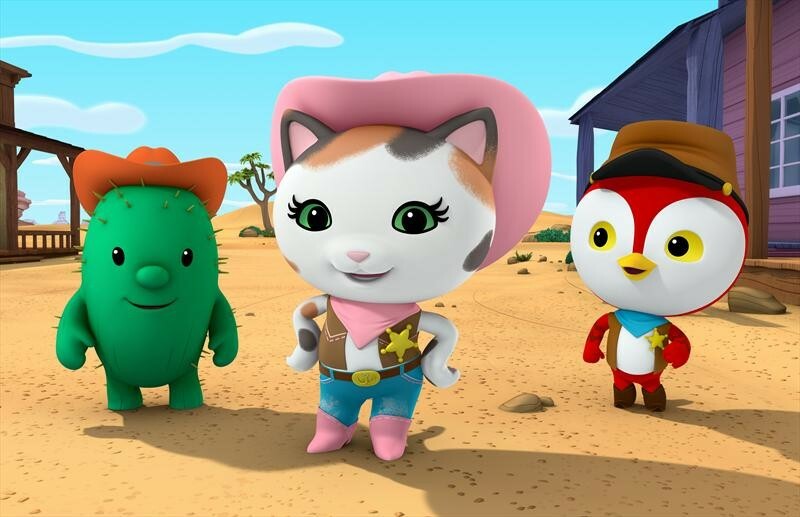 The animated series “Sheriff Callie’s Wild West,” the first western for preschoolers (age 2-7) stars Mandy Moore (Disney’s “Tangled”) as the voice of Callie, a kitty cat sheriff who, along with her deputy woodpecker Peck and fun-loving cactus sidekick Toby, watch over the frontier town of Nice and Friendly Corners, ensuring that it remains the friendliest town in the West. Sheriff Callie’s Wild West is about a loveable Calico cat sheriff who keeps the peace in her frontier town of Nice and Friendly Corners using her noodle lasso and cowgirl know-how. 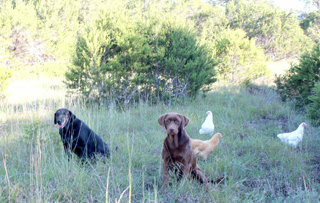 Whether teaching her trusty deputy Peck a lesson about good sportsmanship through a game of horseshoes, or helping her horse Sparky regain his confidence after he slips and falls during a barrel race, Callie always comes to the aid of her townsfolk and in the process, imparts lessons about good morals, manners and social ethics for kids age 2-7. 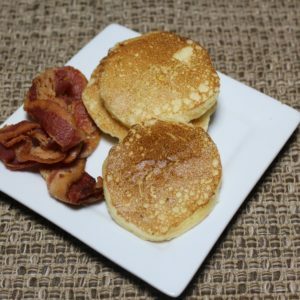 The series will be available for verified viewers on WATCHDisneyJunior.com and the WATCH Disney Junior app for smartphones and tablets beginning SUNDAY, NOVEMBER 24 and will premiere on Disney Junior channels and programming blocks around the world in 2014. So be sure to check it out y’all!